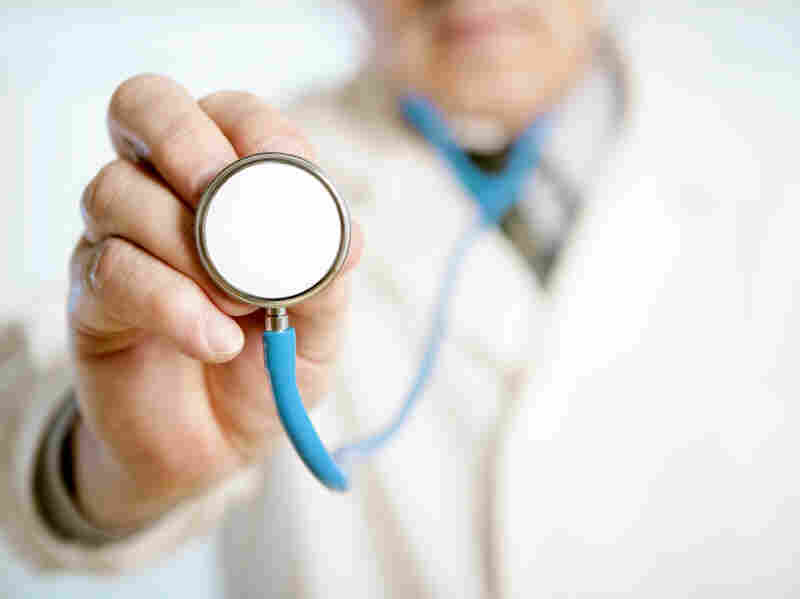 Doctors Blame New Health Law For Death Of Private Practice : Shots - Health News Managed care employees and concierge doctors who want upfront payments are predicted to replace the old-fashioned family practitioner. But the new health law probably isn't to blame for the death of private practice. Of all the scary scenarios predicted for the new health law this is among the scariest: A new survey of doctors predicts the rapid extinction of the private-practice physician. A survey of some 2,400 MDs from around the country found nearly three quarters said they plan to retire, work part-time, stop taking new patients, become an employee, or seek a non-clinical position in the next one to three years. But are these changes really the result of the new law? Doctors responding to the survey seemed to think so. “Doctors strongly believe the law is not working like it needs to – for them, or for their patients,” said Lou Goodman, president of the Physicians’ Foundation, who conducted the survey. But most of the provisions of the new law affecting doctors and patients haven’t taken effect yet. And slightly more doctors said that the lack of a fix to the Medicare physician pay issue is a bigger issue for them than the actual overhaul; by 36 to 34 percent. The paper that accompanied the survey says all those docs leaving their practices will be replaced by a managed care employee or “concierge” doctor who will require an upfront annual payment. In other words, things were changing anyway, with or without the passage of the Patient Protection and Affordable Care Act. Blaming the new law just gives doctors a convenient scapegoat. And whether or not it might actually be better for patients to get their care from larger groups of doctors, rather than those practicing alone or in pairs, is a discussion that will continue to rage among experts.